Your students are connected. They’re connected when they wake up. Connected on the bus ride to school. They’re connected during the school day if you have a 1:1 program—and even if you don’t have one. (Yes, they have ways to get around no cell phone zones.) At any given moment before, during, and after the school day, teachers and students are swapping messages, checking email, logging into the LMS to turn in and grade assignments, or performing a host of other tasks online. These tasks that have students in and out of dozens of apps and websites are potentially exposing confidential data, skirting your district’s acceptable use policies, or worse. We need to know how school technology is being used. In the hyperconnected reality of learning today, you don’t want to be the Internet police. After all, you already do so much in terms of monitoring technology use. You keep track of whether students and teachers are using digital curricular tools effectively. You know how far your building’s technology budget can stretch. Managing your school’s data and instructional technology well-being, on top of everything else you do, is daunting. But it doesn’t have to be. 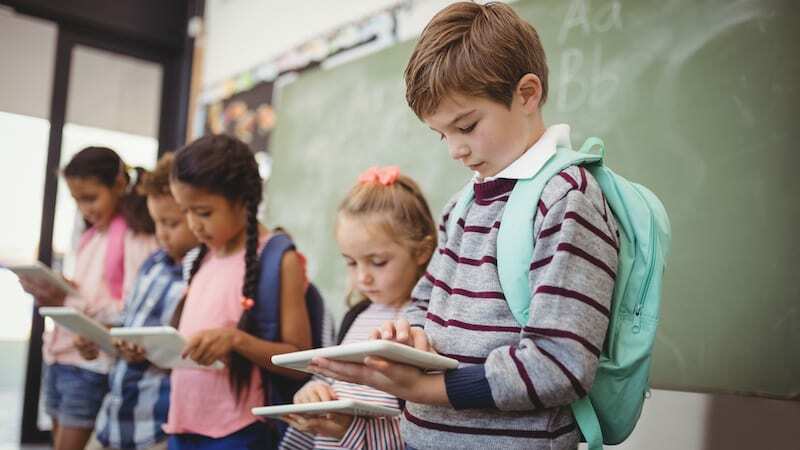 Here are three tips any school leader can use to create an instructional technology environment that is effective for students and also protects school data. Know what your dollars are getting you. Making sure you are protecting your school’s data starts with assessing what tools staff and students are using. Then you can determine whether they are necessary. Every year I take inventory of all of the online tools that my district pays for (STAR, BrainPOP, etc.). I dig through usage reports for each tool to present an “Are we getting our money’s worth?” report for my staff and central office. Fourth grade students spend how many hours in IXL? How many books did students read in Overdrive? How many science videos did teachers stream? It’s all in there. It’s exhausting. But it’s worth it when you realize you’re spending $4 per student on something only half the building is using. This is especially valuable when you consider that some of those tools could be compromising your school’s data. Are all of these apps really worth the money we spend? The EdTech industry is approaching the $10 billion investment threshold. That means a LOT of companies are vying for your school’s dollars to get a return on those investments. Making sure your school is spending dollars wisely is vital, as many companies promise results but come up short. Assembling this report can take a lot of time, but services like CatchOn provide real-time tracking and usage of apps and websites across all devices to make this process painless. Their dashboard gives you real-time updates and allows you to compare how much you’re spending on these tools alongside staff and student usage. It can also help you identify popular free apps that might be good replacements. CatchOn lets you know what apps are being used across all devices. In the process, you can determine if that technology is safe. Investigate all technology your staff and students use. The better option is to gradually release the use of technologies. Give staff the essential tools they need and are determined to be safe and secure. If a staff member requests the use of something new and untested, have a designated vetting process for new technologies. When a new and fresh technology is discovered, it’s easy to forget to ask, “What data is it collecting?” “What, if any, are the potential risks it presents?” The National Association for Secondary Principals has some helpful resources for you to determine how safe new technologies are. And again, it all goes back to knowing what technologies are being used in your school and district. Collecting reports on what and how technology teachers and students are using will let you know what needs to vetted and verified as safe for your students. Balance instructional needs with student safety. It’s easy to become enamored with a shiny new curricular accessory you want your school community to see. However, that new technology must balance the instructional needs of your building and protecting student data. Will adding more tools and technologies present potential risks to student privacy? Will students be able to use the tools effectively, and will teachers be able to use the tools efficiently with the limited time you have to train them? Incorporating regular, brief surveys on the use of digital instructional tools provides valuable feedback, but can be time-consuming and contain inaccurate findings because they are based on anecdotal data. Using tools like the previously mentioned CatchOn can be easier than taking surveys and help a building leader pinpoint needs while getting an accurate picture of what’s currently being used. The bottom line on protecting school data. When it comes to using instructional dollars on digital tools, there are two key factors to consider. First, do you have all of the data you need to make decisions that protect students? And second, is the technology also effective for learning? Understanding which websites students access during biology class, which apps they fire up in algebra, and the most effective digital tools for learning metaphors and similes is crucial. Creating curated online spaces where students can explore, collaborate, stay safe, and not break the district’s budget is an important goal of all school leaders. Ensuring you have regular means to collect, analyze, and then act on data is the driving force behind effective technology use and keeping all of your student and school data safe. Ben is the Director of Technology for Coloma Community Schools. He strives to create collaborative communities that strike a balance between the needs of the individual and the needs of the greater whole.